OnePlus has space for 1,000 people at its upcoming launch event for the OnePlus 6, and you’ve got the chance to attend. Usually, phone launches are reserved for press, partners, company employees, and other specially invited people. OnePlus, however, says it’s proud of its community of fans, and is always keen to involve them in activities, which is why it’s selling tickets to the OnePlus 6’s unveiling. That’s right, it’s not giving the tickets away, but you won’t mind shelling out for one, because each person who attends the event will not only be one of the very first to use the OnePlus 6 itself, but will also get a bag full of desirable OnePlus goodies. The items inside the “swag bag” will far exceed the price paid for the ticket, says OnePlus. The gifts won’t end on the day either, as attendees will get something extra when they order the phone too. You’re going to have to be quick though. Only 1,000 tickets will be available, and they will be ready to buy as you’re reading this. There is one important thing to remember before you head off to grab one — the event is being held in London on May 16, so if you don’t live in or nearby the city, you’ll have to factor in travel costs too. OnePlus isn’t covering anything like that, and while the swag bag is certainly going to be cool, its contents are unlikely to add up to the price of a plane ticket. How much will you pay for a ticket? If you’re early enough, it’s 16 British pounds ($21), or if you miss out on the early deal, the cost rises to 30 British pounds ($41). There are also deals on buying more than one ticket if you’ve got a OnePlus-loving friend. When OnePlus launched the OnePlus 5T last year, it ran a similar offer in New York, and the swag bag contained a backpack, a T-shirt, stickers, and a money-off coupon for the phone itself. 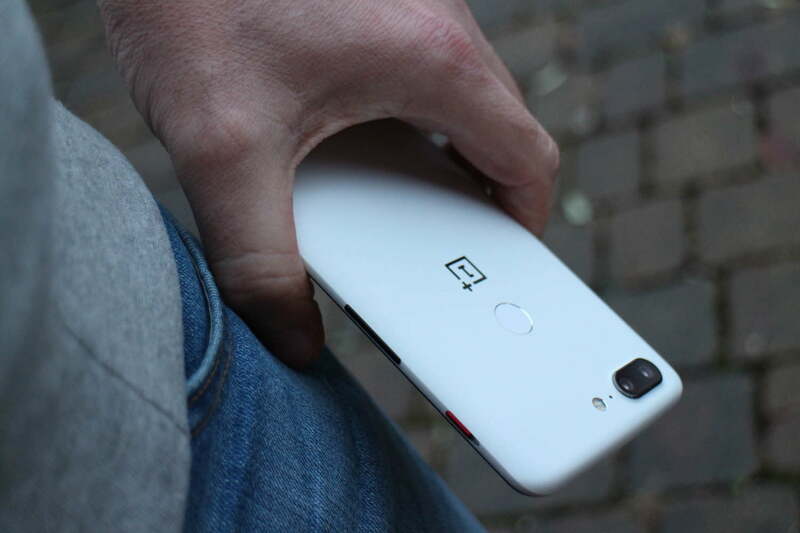 The company says everything is going to be bigger and better for the OnePlus 6, including the contents of the bag. If you’re too far away and can’t make the journey, OnePlus will livestream the event online. For those keen to grab a ticket and visit London on May 16, pre-orders for the tickets opened at 8 a.m. British time on Wednesday, April 25. Maybe we’ll see you there?